Built for your toughest battles – with boxes. The M16® stainless steel series comes from a long line of military tools. 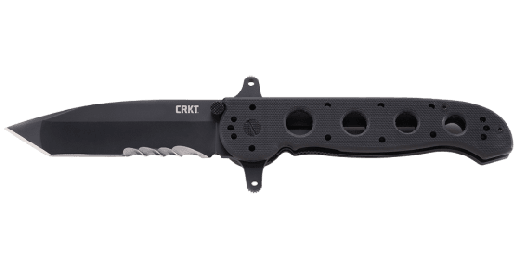 Now you can conquer civilian tasks with this everyday carry version of the legendary M16® knife. 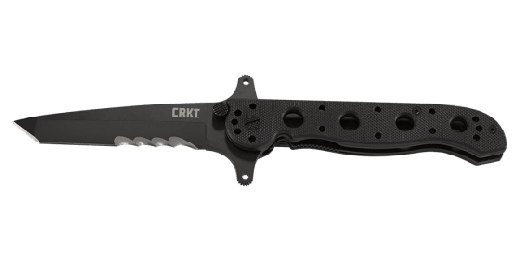 Featuring a black EDP blade finish built for corrosion resistance, a frame lock for safety, the Carson Flipper deployment system, and Triple Point™ Serrations; it’s almost more than you need. Almost. The M16® stainless steel everyday carry series comes from a long line of military grade tools. 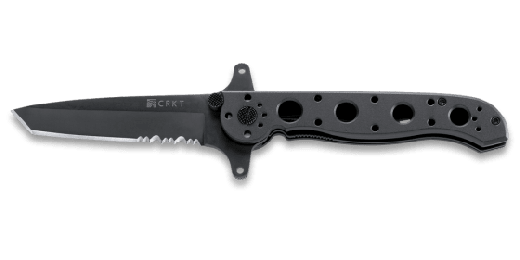 Now you can conquer civilian tasks with this proven knife design platform made simple, tough, and affordable. 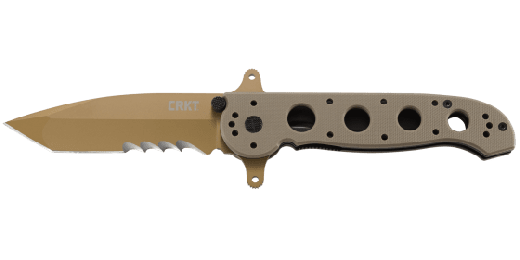 If you are a fan of the Kit Carson designed M16® tactical folding knives you are going to want to check out these stainless steel (SS) everyday carry knife variations. 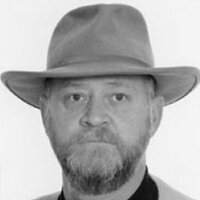 Famous custom knife maker Kit Carson of Vine Grove, Kentucky designed and shaped these handles in the same confident grip M16® knife style, but these are crafted out of a tough stainless steel. The handles are finished in a classic black oxide, corrosion resistant finish. The M16®-10KSF is designed for hard use as an everyday carry knife. 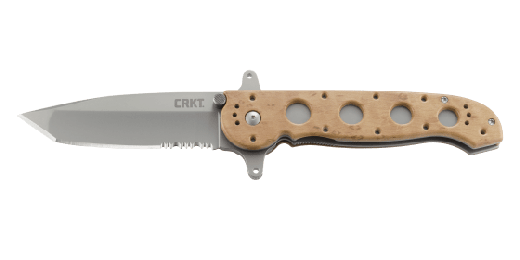 The knives in this series feature a traditional frame lock for safety and are available in several blade style options including cutting edge configurations, each with their own user advantages to offer. 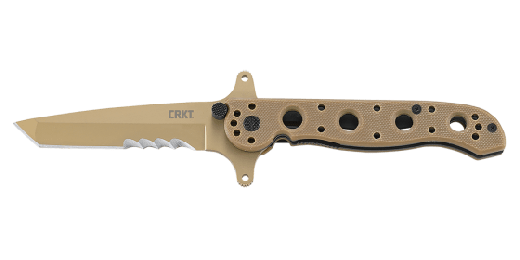 This series also features the Carson Flipper for quick and convenient blade deployment—and the flipper doubles as an effective blade guard in the open position, a true “dual hilt”, a rarity in folding knives. The M16®-SS everyday carry series is a straight up, "no frills" EDC folder with a tactically inspired design that is almost more than you need. Almost.